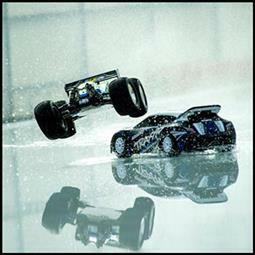 Radio-controlled cars / modelling on Sunday 24 February 2019, from 8 am to 12 pm, Ice Rink – Stade Nautique Rainier III. Once again the skating rink will be transformed into a racing track on ice where all models of radio controlled cars, from 1/12 to 1/5 scale, can compete. Participants must bring their own vehicles, with electric motors only (no petrol-driven vehicles will be accepted). Beginners and experts, children and their parents and all enthusiasts are invited to meet at the skating rink.